Last Sunday, despite the fact that there was an important (by now unmentionable) football match on and also despite the fact that there was intermittent torrential rain, my sister Cáit and I took ourselves off to Powerscourt Gardens to enjoy a bit of 'culture'. 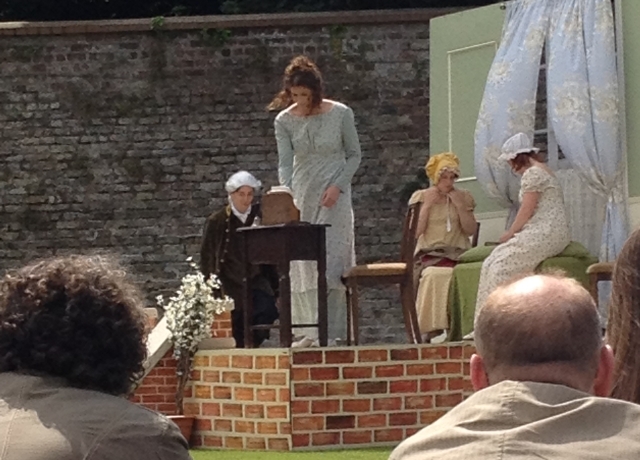 We joined Chapterhouse Theatre Company for an afternoon of watching Elinor and Marianne Dashwood make their first forays into the exquisite world of eighteenth-century society, in an open-air theatre adaptation of Jane Austen's Sense and Sensibility. 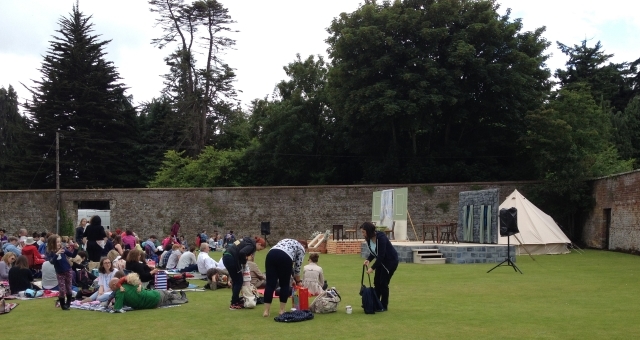 Performed in Powerscourt’s beautiful Walled Garden, it promised to be a most splendid afternoon. What could be better than spending a Summer's afternoon in one of Ireland’s most beautiful gardens while being entertained by one of my favourite stories being brought to life? Well, I'll tell you! Although Cáit and I initially thought we were very clever bringing a picnic blanket and stopping into the Avoca café for coffee and cookies beforehand, it was only when we settled into our spot and looked around us we realised how woefully under-prepared we were. This open-air theatre lark is exceptionally civilised. All around us, there were people sitting on lovely lawn chairs, with mouthwatering picnics set about them. There were even those who had thought to bring little tables along, to put their bottles of wine and real glass wine-glasses on. The air was filled with the sound of popping champagne corks and all of a sudden we felt quite sad about our (absolutely delicious but somehow inadequate) chocolate chip cookies. Despite the absence of wine and fancy picnic food, however, the afternoon was, indeed, as splendid as promised. The weather held for most of the afternoon. The play was entertaining and well acted and I absolutely commend the actors for not running for cover when the heavens did finally open towards the end - although the rain actually added a great touch of realism to the 'storm' scene, I thought! Cáit and I thoroughly enjoyed ourselves and have decided that we're going again next time. And, in a bid to make up for a slightly missed opportunity of living it up on a Sunday afternoon, we've already decided that there will definitely be wine. And chairs. And the fanciest of fancy picnic food. 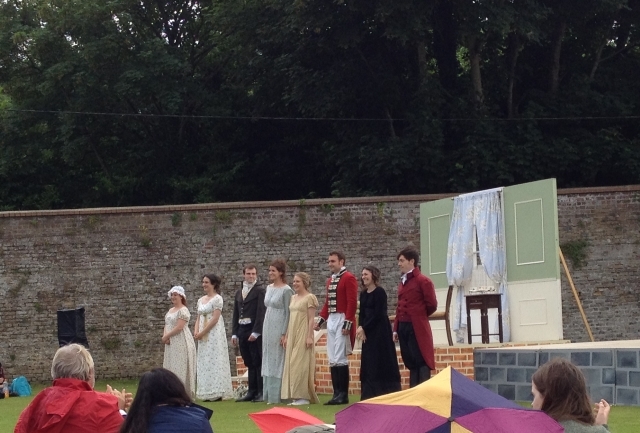 Catch performances of Sense and Sensibility at all these places over the Summer months. See Powerscourt's full programme of events for more things to do over the coming year. 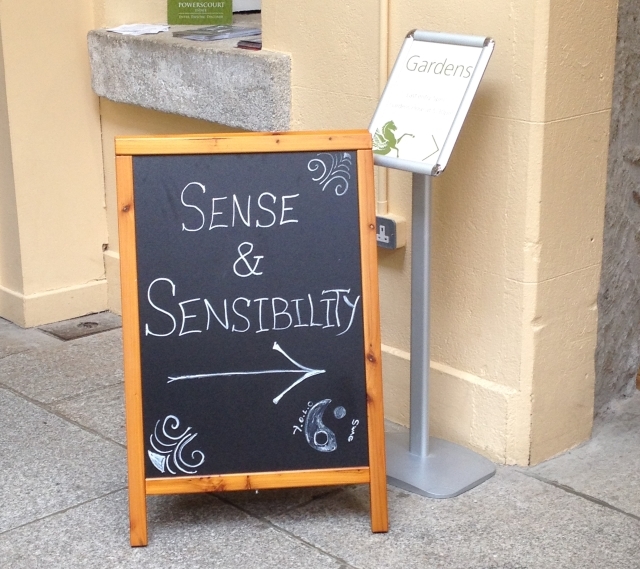 Disclosure: We were invited by Powerscourt Estate to attend Sense and Sensibility for the purposes of review. All opinions are my own, however, and I was not paid to give them. That sounds absolutely gorgeous. 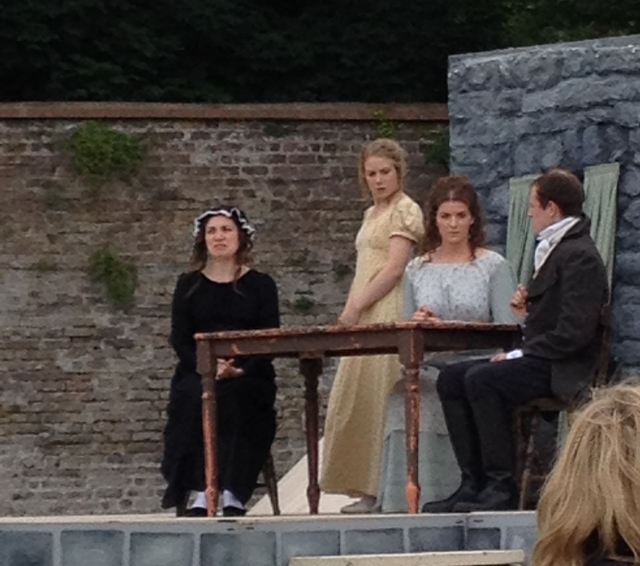 How grown up and posh - bringing your own bottle to an outdoors play. I know "someone" who has absolutely no class at all, who took one into the cinema with them once. Awful behaviour.